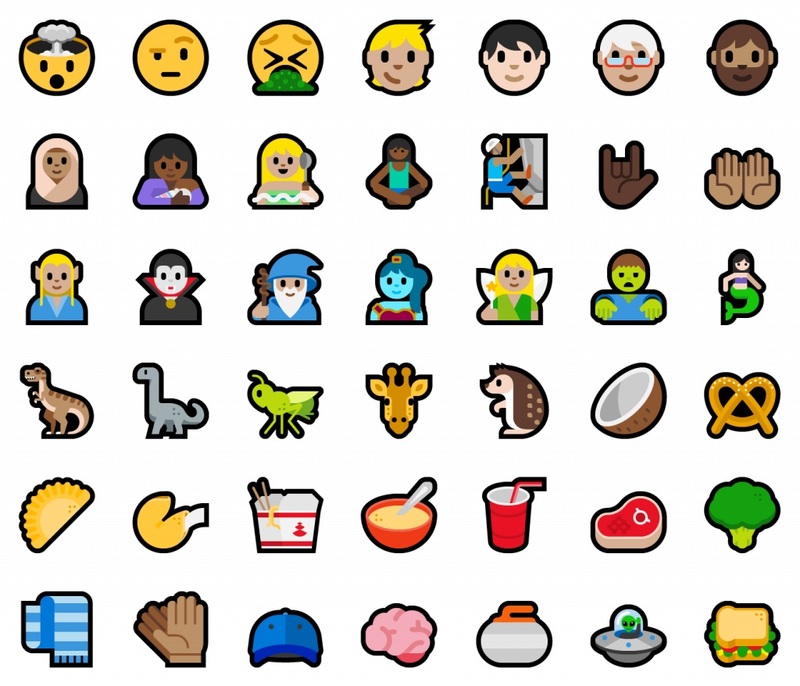 Defying reports that Microsoft's mobile efforts are dying, the company just announced another Windows 10 Mobile preview, highlighted by new emoji icons. Yesterday's announcement of the new Insider Preview build was sandwiched between two other industry articles that added to the chorus of impending end-of-life notices. One was titled "Microsoft's Windows 10 Mobile OS: Beyond Life Support", and the other sported the headline "From Here To Andromeda OS: Or, Why Windows 10 Mobile is DEAD." Apparently Microsoft's Dona Sarkar hasn't heard the news. 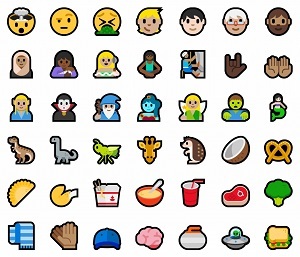 "Just like we did on PC, we have added support for the latest Unicode updates -- including new snacks, actions, dinosaurs, and even fantasy characters like genies, fairies and zombies -- to Windows 10 Mobile in this build," she said in yesterday's post about Emoji 5.0 being added. "They're all accessible via both the touch keyboard and the Emoji Panel. We've tweaked some of our original emoji designs based on your feedback and to improve consistency with how the emoji is displayed on other platforms (while maintaining our Windows style)." Sarkar, who has steadily been announcing such preview builds for many months, also noted a few other minor changes, including updated emoji, and detailed how to enable the Chinese Lunar calendar, in response to user questions. 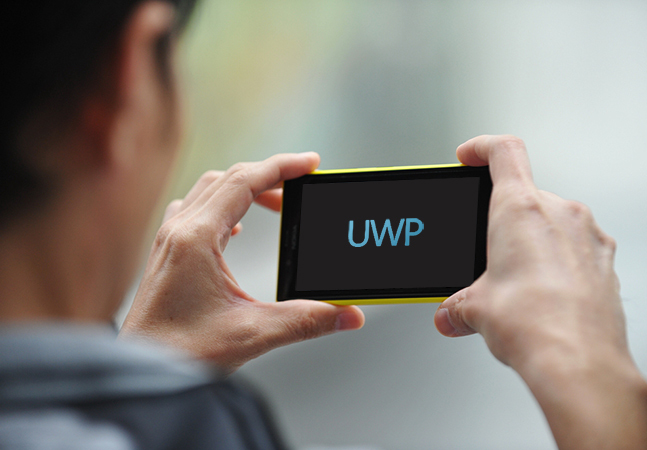 The Windows Mobile previews have been churned out regularly despite industry reports of a 0.1 percent market share for Windows Phone, Microsoft's previous mobile OS before the company switched to bundling its mobile efforts under the all-encompassing Universal Windows Platform (UWP). As we reported earlier, analyst firms like IDC don't paint a rosy picture for Microsoft's efforts. "Microsoft has yet to fully commit to any 'Surface'-style attack for smartphones or to push new vendors to embrace the platform, leaving little hope of mounting a full scaled comeback in the years to come," IDC has said. The aforementioned, just-published industry articles weren't optimistic, either. "Microsoft has not officially declared it deceased but Windows 10 Mobile is a walking dead like BlackBerry 10 OS," said a Seeking Alpha article. "Don't expect a Surface smartphone to be released this year or next year. Microsoft has more important things to do." Meanwhile, a Know Your Mobile article said: "Windows 10 Mobile is being phased out over 2018 in favor of new Microsoft devices running the 'Andromeda' build," and referenced a Windows Central article published Monday titled "What's Next for Windows 10 Mobile and Existing Windows Phones." Here's what Windows Central's Zac Bowden said about what's next: "Microsoft has separated Windows 10 Mobile development away from the rest of Windows 10 because Windows 10 Mobile is no longer needed for what Microsoft is planning next for Windows on mobile devices. My contacts suggest that Microsoft's next mobile device will be running something internally referred to as Andromeda OS; a version of Windows that aims to be modular enough to run on any form factor, and as a result removes the need for a separate 'Windows 10 Mobile' SKU. "Because of this, Microsoft no longer needs a phone-specific version of Windows 10, which means Windows 10 Mobile is now redundant." But while it may be redundant, it does have new emoji.